Air Conditioner Shack is part of the RAC Kettering group and provide a comprehensive Fixed Air Conditioner Installation design and application service including installation of air conditiong systems for homes, offices, show rooms, IT server room cooling, shops and resturants. Daikin 4-way blow Cassettes in cooling only or combined heat pumps with capacities from 3.73~12.3 kW cooling and 4.10~14.90 kW heating. Full automatic control of temperature, fan speed and mode. Infra-red option on 4-way Cassette. The Daikin Ceiling Cassette leaves maximum floor and wall space for furniture, decoration and fittings. Fits flush into each ceiling. Air can be discharged in any of four directions. Outdoor units can easily be mounted on a roof, terrace or placed against an outside wall. In large rooms, up to 3 indoor units can be connected to 1 outdoor unit and operated from 1 remote control. Daikin Ceiling Cassettes are available in a range of sizes in either non inverter or more energy efficient inverter units. Please call us for more information on specific models and requirements. Extremely quiet in operation both indoors and outdoors. The Daikin FT(Y) Wall Units are available in capacities from 1.8~6.35 kW cooling and 1.85~7.15 kW heating. The FAY range is available in capacities from 7.4~10.4 kW cooling and 7.3~10.3 kW heating. Consider the Daikin FT(Y) range for smaller areas such as individual offices, bedrooms and living areas. Large Wall Units - for larger areas you should consider the Daikin FAY range of wall units with sizes up to 10.4 kW of cooling. 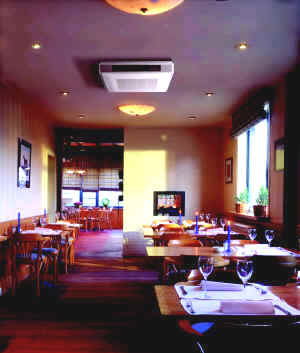 Inverter Units - Ideal for the smaller area with capacities up to 3.6 kW cooling + 5.1 kW heating. Economical, accurate temperature control plus it runs straight of a 13 amp socket. Our commitment doesn't end with the completion of a successful installation – it’s just the beginning. We are able to maintain your equipment in order to keep it running perfectly throughout its long useful life. Tailored maintenance to suit client’s requirements can be carried out either under contract or on a one off basis. With our wealth of knowledge and experience, Refrigeration Air Conditioning provide cooling and heating solutions to meet your every need and budget size. All of our equipment is ECA approved and our team ensures 1st class service from the initial site survey through to your after sales and maintenance of your systems. Using leading manufacturers Mitsubishi, Toshiba, Fujitsu, LG &Daikin we can find just the right equipment for you. Our engineers have experience in all areas of air-conditioning, heating and ventilation so you can be sure that you will get the best advice and service whatever the size of your project. We also maintain and service existing systems, offering a 24 hour service so we are here whenever you need us. So, whatever your needs from a basic cooling system or a more complex VRV or VF system, servicing or maintenance, please ring, fax or e-mail us for prompt attention and a high quality service. 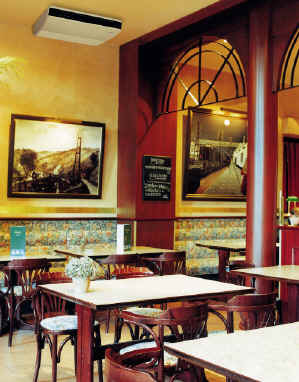 In 2001 The Government introduced capital allowance (ECA) to reward businesses that invest in energy saving equipment. ECA’s are given on 100% of your expenditure in the first year. This means you can reduce the profits for its period of the investment, on which you pay tax by 100% of the expenditure incurred when buying equipment from Millennium. Therefore on equipment costing £10,000, your business will reduce its taxable profit by the full £10,000. That makes the first year saving from the ECA £3,000. With many years of successful trading, RAC Kettering supplies air conditioning to a varied client base, from small businesses and domestic residences to global corporations and organisations. Each receives the same personal, dedicated service and attention to detail. RAC Kettering are accredited design and installation contractors for most leading equipment manufacturers (Toshiba, Mitsubishi, Hitachi, Daikin, Fujitsu, amongst others). Armed with the advantage of not being tied to one manufacturer, we are able to optimise your installation by selecting the most practical system for your premises. A responsible attitude to the environment is integral to our business operations. Innovations in energy-efficient design and the pioneering introduction of new refrigerants have produced systems that are better for the environment and comply with all current and planned legislative demands. In addition, with energy tax beginning to impact on business, air conditioning from RAC Kettering is a real investment for the future. When facing the combined imperatives of customer comfort and cost-efficient use of space, an intelligently designed installation can add to the bottom line. A RAC Kettering air conditioning installation will take up minimal space and produce an atmosphere in which customers will spend more time, and more money. 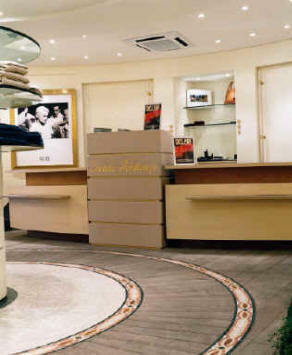 Suitable for incorporation into both refurbishment projects and new buildings, an air conditioning system will enhance any commercial, retail or leisure environment. RAC Kettering supply and install close control systems as well as traditional DX air conditioning systems. These systems enable the client to keep temperatures within tight parameters. Close control systems are commonly used within large communications rooms/centres. RAC Kettering are able to offer extended warranty periods on selected equipment due to our accreditation by the larger air conditioning brands. We specialise in all aspects of the installation, repair and maintenance of air conditioning systems to domestic and commercial customers.Well established and experienced we provide all our customers with a 1st class quality service, no matter what the job entails. A professional and reputable air conditioning company we are based in Kettering and London but operate on a UK wide basis, serving domestic and commercial customers across the country. Our air conditioning installation, repair and maintenance services are often recommended by extremely satisfied customers. Offering a complete service, from initial consultancy, to the design and installation of air conditioning systems. We provide ongoing tailored maintenance contracts and 24 hour, 7 day emergency service cover. With a wide range of high specification air conditioning and refrigeration solutions, we provide customers with a choice of appropriate models and costs, at competitive rates. Whether you need portable air conditioning units, an office or an entire building fitted with air conditioning, we can help. A link is increasingly being made between health problems and the quality of the air we breathe. Reported cases of allergic diseases and asthma are on the rise. According to the EFA*, over 80 million people across Europe have some form of allergic disease and their prevalence is increasing. Today’s residences and buildings are better insulated than ever, but this implies a limited exchange of outdoor air with indoor air. As a result, the air we breathe indoors can be more polluted than outdoor air. Moreover, we commonly spend up to 90% of our time in indoor environments. - Airborne allergens such as pollen, dust, house dust mites droppings and pet dander. - Triggers to allergens such as moulds, tobacco smoke and adjuvant substances. Daikin MC707B Air Purifiers are ideal for home use, restaurants, bars, offices, boardrooms, Dental and Doctors surgeries, Residential Homes. Lightweight and compact the Daikin MC707B Air Filter has a unique filter process that removes airborne pollutants, and even unpleasant smells. The NEW Daikin MC707B Air Purifier is also clinically proven to destroy germs and bacteria. Completely portable, Daikin Air Purifiers with 8-stage filtering technology requires no installation and can be simply plugged in and switched on. Daikin Air Purifiers will clean the air in rooms up to 48m². This efficient air filter has a maximum air flow rate of 420 m³/hour (in Boost mode). 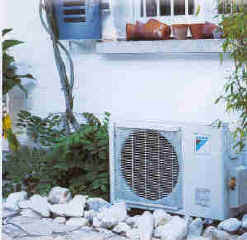 The Room Air Conditioner Company.com is operated by Icecape Ltd trading as RacKettering, who are long established commercial refrigeration engineers.